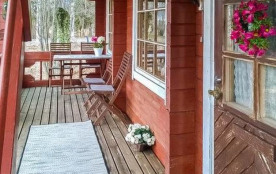 87 km north-east of Seinäjoki, L. Lappajärvi 250 m away (length 25 km, width 12 km), shallow, hard sand bottom, shore which is 250 m away is in shared use, own boat. Log cottage 1987, living room/kitchen 2 extra beds, sleeping alcove double bed, sleeping loft double bed, washroom, sauna, open porch. Cottage is heated mainly by air source heat pump. 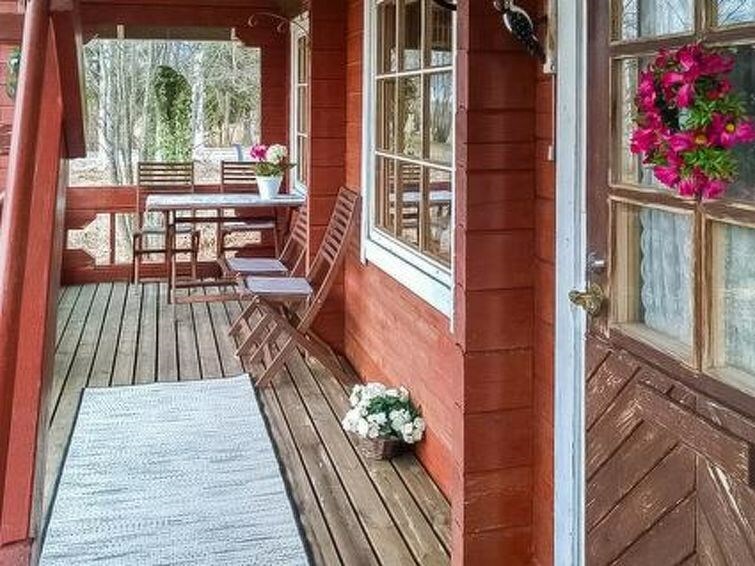 Log cottage surrounded by fields, level plot, suitable for family. Shore suitable for children. Spa Kivitippu 12 km (spa mainly for guests who stay there, but there is for example restaurant). Tulivuorikeskus (volcano centre) 23 km.